Relocating big companies, especially within the city centre involves transporting various kinds of office furniture, important and very often confidential documents, and different types of office equipment that require special treatment. Some items may also require special removal equipment like dollies, sack barrows, stair climbers and different types of removal crates. 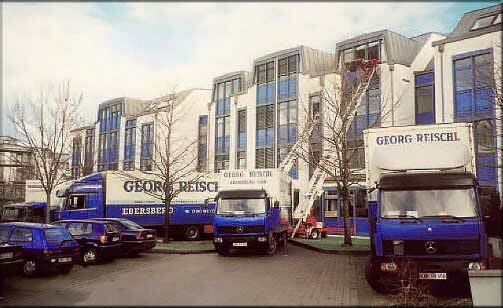 When moving a large office you need to pay attention to certain aspects of the relocation. In particular large business moves are often associated with the transport on a large scale, in which in addition to the fragile equipment or office furniture, you need to carry a large number of computers and other sensitive or technical equipment and office data. For example, cases with important documents, servers, UPS's, local and wireless network devices which have to be reinstalled and reconnected once moved. Firstly you should focus on the importance of taking care of the communication between the client and moving companies in order to learn the extent of the project, to find out what is the actual scale of the move. Those information are necessary to be able to do the proper valuation. To provide a competitive offer everything need to be taken in to account so that the initial moving costs are do not increase by unexpected expenses. To increase the safety of the move and give the client an extra piece of mind the move proposal should include an insurance option, especially if the move involves removals Leeds of sensitive equipment or confidential materials. All conditions and additional costs should be determined well in advance, especially if the customer has special requirements. 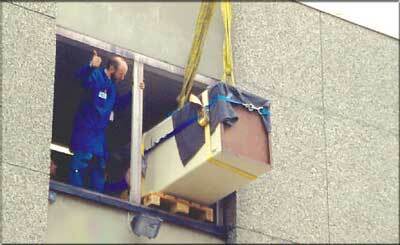 For example some commercial removals need to be carried out over the weekend, at night or in the evenings. The reason to move offices out of office hours is always the same. Large companies can afford any business downtime. It costs them much more than the extra charge for moving at when their employees and clients are resting at home. Business relocation activity and plan? When planning the move most companies decide to relocate in phases. Since it is not always possible to transfer all employees at the same time or over just one day or one weekend. Moving in phases has a lot of advantages for example the employees of one department can take over the most important tasks of the departments which are being relocated. When organizing a large company move you need to take this factor very seriously. Your ideas on how to reduce the downtime during the removals will be the key to convince the client you will be the best choice to relocate them. So the thing you need to remember and take in to account is the minimization of the business downtime. Each extra day may reduce the productivity of the company, and hence, its profits. Therefore, it is important that at the very beginning you determine the time required to perform all the moving activity, preparation tasks, packaging materials or other additional relocation activities. You have to estimate how long it will take to complete each moving activity: packing, relocation, unpacking, furniture dismantling and assembly and many more. When the move is rally complex you should consider the possibility of office removals in Halifax in a few phases, so that the company does not lose on productivity at any time. Better yet, give the customer the possibility to choose between different options. Present a couple of ways the move can be proceeded giving advantages and disadvantages of each option. Remember: when you prepare the moving cost proposal for a large company, think like you were that company, estimate savings and show empathy for each hour of work. You can be sure that each client will appreciate it.